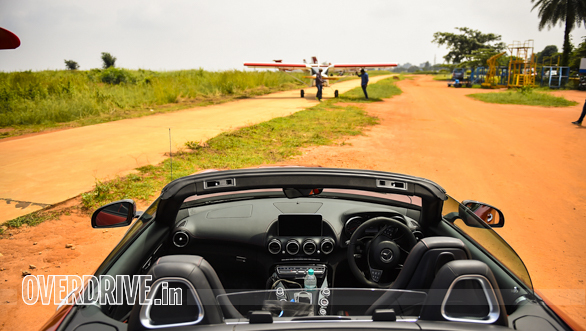 What is it about driving and flying, that makes people seek out open roads and take to the skies? The speed? The sense of freedom? 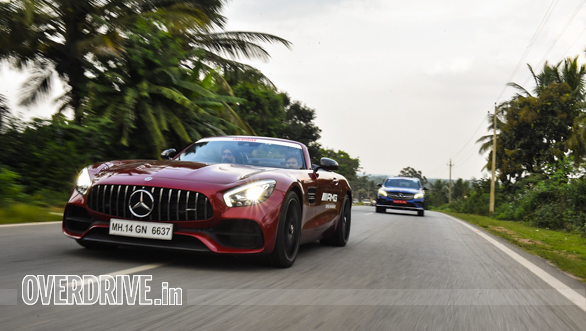 Well, that's what 16 people were going to find out, on the Bengaluru edition of the AMG Emotion Tour. 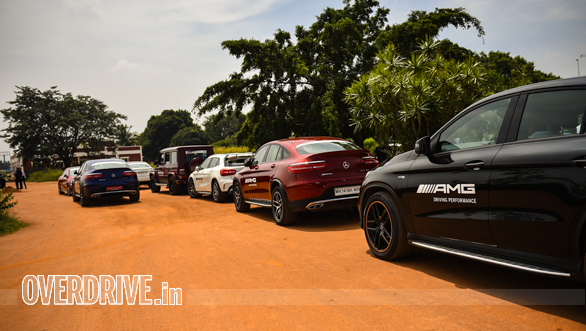 We could tell that they were itching to find out, going by the rate at which the convoy made it from the AMG Performance Centre, Sundaram Motors, to the Jakkur Aerodrome, en route to the Bengaluru International Airport. In hindsight, it could've had something to do with the excitement of being let loose in some of the most practical high-performance cars there are. 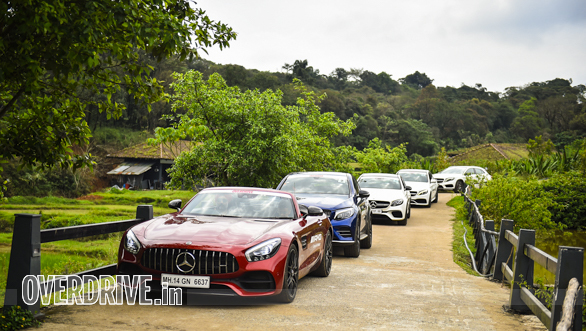 These AMGs stand out in the world of sub 5s 0-100kmph capable machines  from the compact GLA45, to the super sedans C 63 S and E 63 S, to the obviously go-anywhere SUVs like the GLE 43 Coupe and G 63, these are vehicles that don't need to babied over the Bangalore PWD's proudest failures. 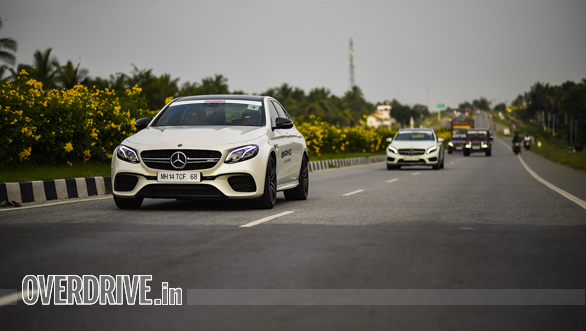 On this exclusive drive experience, some of the people were AMG owners and they already knew this. The other lucky few were about to find this out for themselves. This exclusive experience would be an emotional tour like no other! The Jakkur Aerodrome is a proud part of Bengaluru's history, built under the patronage of the Maharaja of Mysore in 1948. 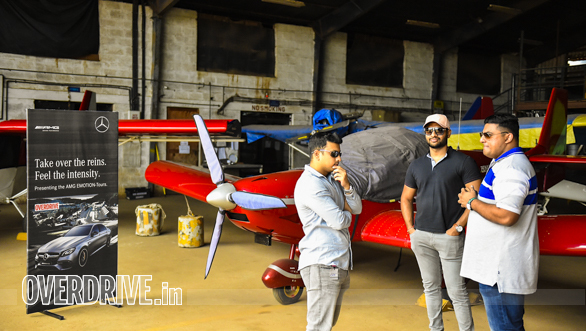 From a government flying school that ran through the better part of the last century to hosting flying clubs, and adrenaline junkies (the annual drag races were held here), the Jakkur airport has come a long way. Now, activities like parasailing and microlight rides are what keeps the airport busy. 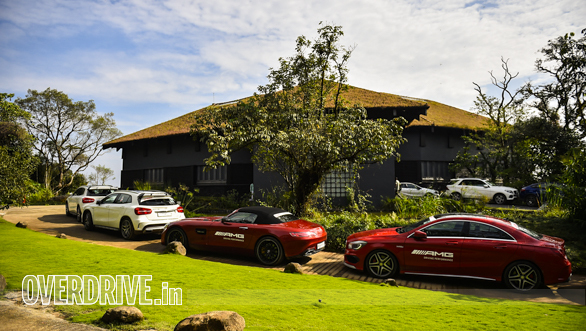 And nice and early on a Monday morning, the Jakkur Aerodrome played host to the AMG Emotion Tour. With the high-horsepower pack being led by the Mercedes-AMG GT Roadster, everyone at the airport found reasons to abandon their high-fliers momentarily. What followed was a symphony of power, the likes of which likely hasn't been seen at Jakkur before, drag races included. From burly four-litre bi-turbo V8s to raucous bi-turbo V6s to raspy turbo inline four engines, all have the distinction of the AMG soundtrack, with pops and crackles signing off power outputs, from 367PS all the way up to 612PS. The participants (just a little reluctantly) swapped four wheels, for two wings. The reluctance didn't last long, however. 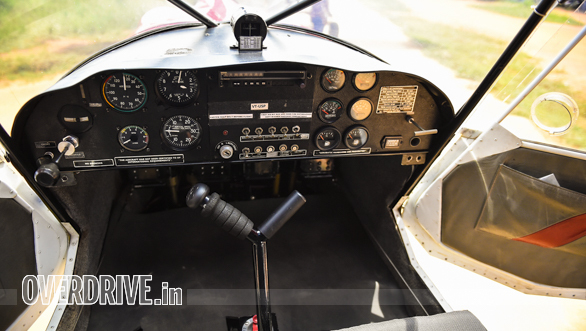 After all, it was a once in a lifetime chance to view Bengaluru as they never had before  from 1,000 feet above it! Microlights have a flight ceiling approaching 6,000 to 8,000 feet but the pilot/instructor wanted people to get the adrenaline rush that comes with flying low to the ground. In fact, the controls were handed right over to the participants! And with the elevated road to the airport obstructing the landing approach for planes, the real adventure is in landing. 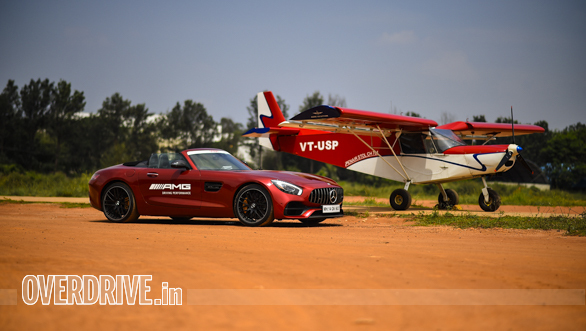 We caught up with Sumanth Donthi, prospective AMG customer after a smoothly successful landing, "Flying myself was an amazing rush! Especially since you feel everything in this small microlight compared to the commercial flights. But I still can't wait to get back behind the wheel of the AMG and hit the road!" Well, it seems like some itches are harder to scratch, and the need for speed can be a stubborn muse. Luckily for us, we had a 275km journey ahead, down NH75 to feed that need. After a brief bout of traffic getting out of Yeshwanthpur and the city, the convoy finally had a chance to stretch its legs. 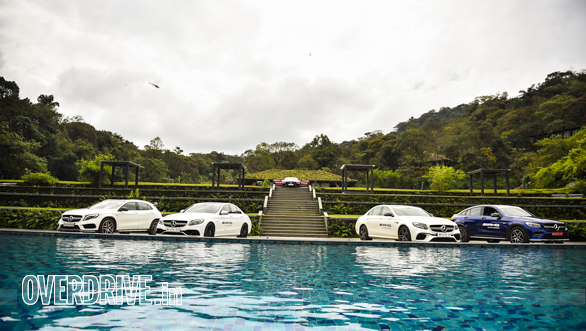 And going by the smiles on the faces behind the wheels, the AMG magic was at work. 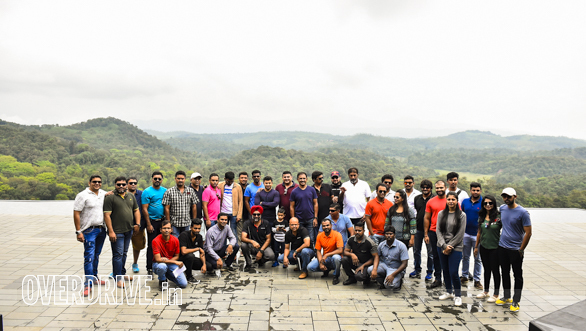 Our destination  the Taj in Madikeri, Coorg. Our route  some of the most picturesque roads you can travel in Karnataka. 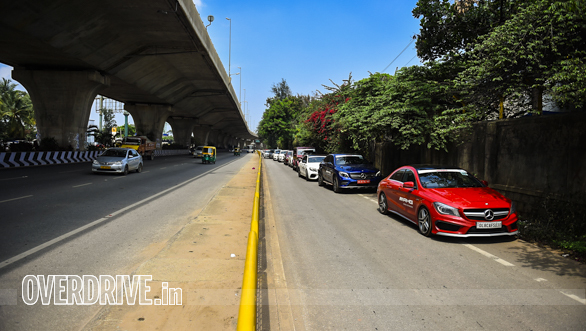 One caveat  speed breakers! 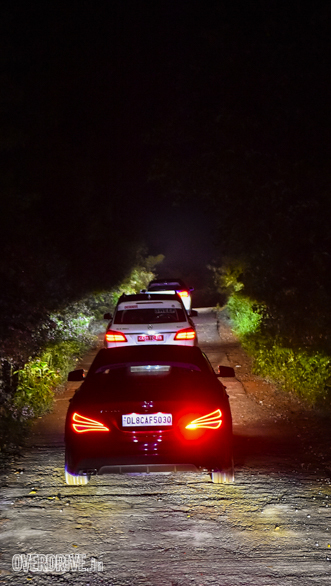 Despite that, the convoy made it through peacefully, further driving home the sheer usability of an AMG. The SUVs were especially quick on these real world roads, with the ability to soak up most of what would've slowed down other performance cars. 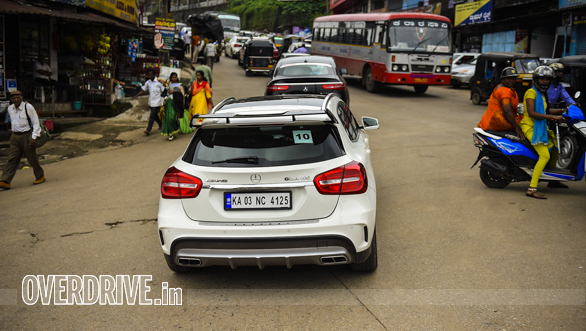 And when we reached Madikeri, the cars had another test in store. The regular road to the resort passes through some narrow uphill sections, is motorable, but had been washed away by excessive rainfall. So we had to take the road less travelled, a broken piece of tarmac to be navigated without the added security of the light of day. But, thanks for Multibeam LED lighting! The adaptive headlights were especially useful when a thick cloud of fog rolled in and cut visibility to just a few feet ahead. For the return journey, and after having stocked up on freshly ground coffee, we decided to revel in experience of an AMG. And the road we came up with, seemed engineered for bringing out the best (fun) of the AMGs. Flawless tarmac, flowing corners and green scenery to boot. We don't think many cars drove without their windows down, to best enjoy the sounds of Affalterbach's finest. Needless to say, the 270km or so journey back, shrunk to a fraction of its length. 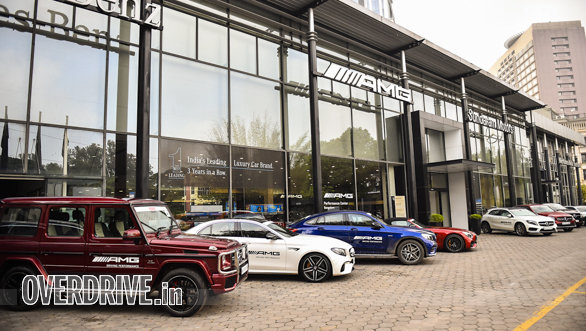 And at the end of the day, the smiles on everyone's faces as they stepped out of the AMG steed of their choice said it all, truly bringing home the point of the AMG Emotion Tour.